Relatively few men (9%) say it’s very important to them, personally, to be seen by others as manly or masculine, while 37% say this is somewhat important to them. Black men are more likely than white and Hispanic men to say it’s very important that others see them as very masculine (23% of black men say this, vs. 7% of white men and 8% of Hispanic men). 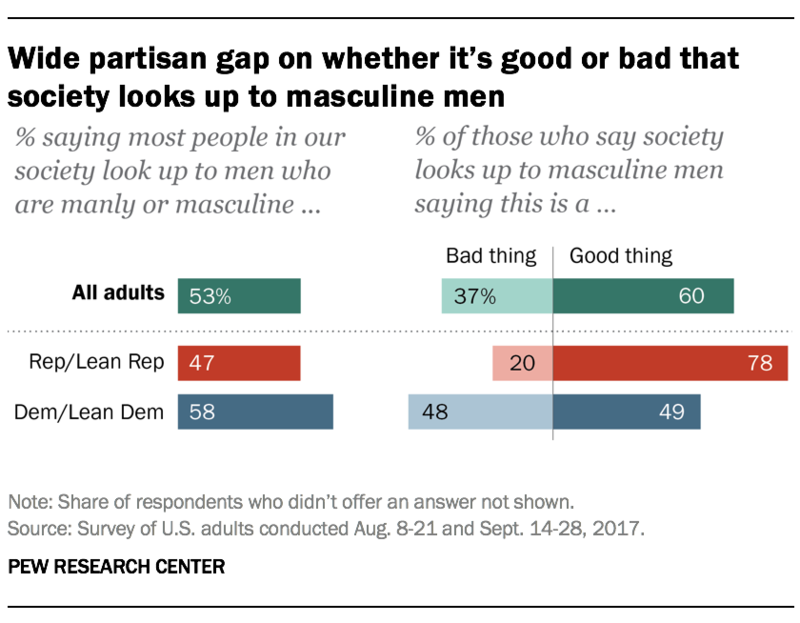 And while about one-in-ten Republican and Democratic men say this is very important to them, Republican men are more likely to say it’s at least somewhat important to them to be seen as very masculine (51% vs. 42%). When it comes to how men view themselves, about three-in-ten (31%) say they are very manly or masculine, 54% describe themselves as somewhat masculine and 15% say they are not too or not at all masculine. Again, race is linked to views about this: 49% of black men consider themselves to be very masculine, compared with 34% of Hispanic men and 28% of white men. Views also vary by party, with Republican men more likely than Democratic men to describe themselves as very masculine (39% vs. 23%). The survey also found that many men say men face at least some pressure to engage in activities that are sometimes associated with “traditional masculinity.” More than eight-in-ten say men face pressure to be emotionally strong, with 41% saying men face a lot of pressure in this area. 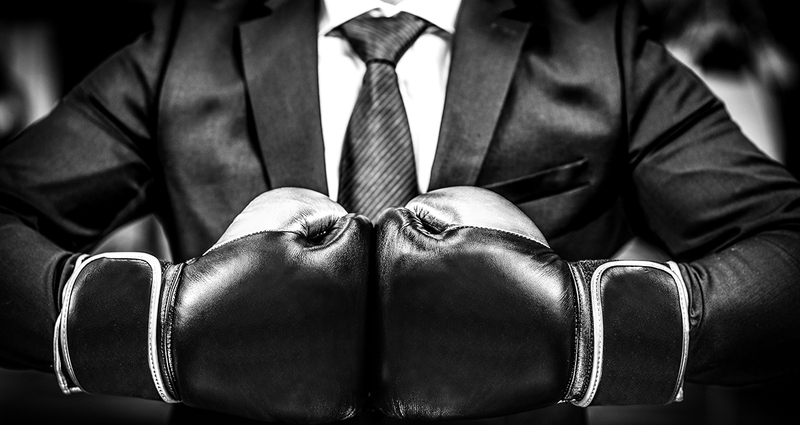 About six-in-ten (57%) say men face pressure to be willing to throw a punch if provoked, 45% say men face pressure to join in when other men talk about women in a sexual way, and 40% say men face pressure to have many sexual partners. The survey also explored views about femininity. Overall, Americans see society placing less premium on femininity than on masculinity: 32% say most people in society these days look up to women who are womanly or feminine, while 11% say society looks down on them; a majority (57%) say society neither looks up to nor down on women who are feminine. Still, women are more likely to say it’s very important to them, personally, to be seen by others as feminine than men are to say the same about others seeing them as masculine. One-in-five women say it’s very important to them to be seen as womanly or feminine; 32% say it’s somewhat important.